Lieutenant Commander Guy Fowell Parsons (HMS Nigella Royal Navy) dies of injuries after falling down steps and fracturing his skull at age 37. He is a well-known Rugby International and he has had two brothers fall in the service of their king. Lieutenant Commander Raymond S Parsons (Royal Naval Division) was killed in 1915 on Gallipoli and Lieutenant Francis Newton Parsons VC (Essex Regiment) was killed in the South Africa War in March 1900 after going to the aid of Private Ferguson on 15th February 1900 which will reward him the Victoria Cross. Chaplain David Jenkins dies on service at home at age 32. Captain William Leefe Robinson VC (Royal Air Force) dies at the Stanmore home of his sister, the Baroness Heyking, from the effects of the Spanish flu pandemic after his release from a prisoner of war camp. On the night of 2nd/3rd September 1916 over Cuffley, Hertfordshire, Lieutenant Robinson, flying a converted BE2c night fighter, sighted a German airship – one of 16 which had left bases in Germany on a mass raid over England. The airship was the wooden-framed Schütte-Lanz SL11 Robinson made an attack at an altitude of 11,500 ft approaching from below and, closing to within 500 ft, raked the airship with machine-gun bullets. As he was preparing for another attack, it burst into flames and crashed in a field behind the Plough Inn at Cuffley, killing the crew of 16. For his actions he was awarded the Victoria Cross. His wife’s first husband died of wounds in November 1914. 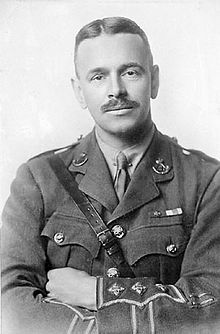 Lieutenant Colonel Frederick Meredyth Mangin (Royal Army Medical Corps) dies in India at age 51. He is the son of the Reverend James Mangin of King’s School Canterbury. Captain Alexander Ralph Abercrombie DSO MC (Royal West Surrey Regiment) dies of influenza at home at age 22. His father died of wounds as a prisoner of war in November 1915. Sergeant John Wilfred Beatham (Argyll and Sutherland Highlanders) dies on service in Turkey at age 29. He is the last of four brothers to die on service this year including Robert Matthew Beatham a winner of the Victoria Cross who was killed last August. Captain Julian Royds Gribble VC (Royal Warwickshire Regiment) dies of influenza in German hands at age 21. He was awarded the Victoria Cross for his actions on 23rd March 1918 at Beaumetz, Hermies Ridge, France when in command of a company which was ordered to hold on at all costs. They were eventually isolated and he could easily have withdrawn when the Battalion on his left was driven back, but he obeyed his orders to the letter and when his company was finally surrounded by the enemy he was seen fighting to the last before being wounded slightly in the scalp and captured. Lieutenant Hubert Henry Schomberg Laughton (Machine Gun Corps attached Worcestershire Regiment) dies of wounds at home received at Le Cateau in October. He is the son of Professor ‘Sir’ John Knox Laughton. Paymaster Lieutenant Guy Campbell (HMS Venerable) dies of illness at age 31. He is the son of ‘Sir’ George Campbell KCMG, Inspector General of Police and Prisons Ceylon. Private Herbert Barsby (Leicestershire Regiment) dies at home at age 27, two days before his brother dies at home. 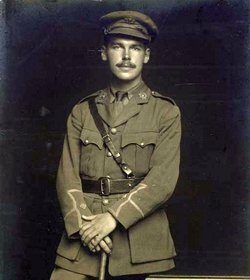 Lieutenant Colonel Francis Louis De Moulin MC (Sussex Regiment commanding 1st East Yorkshire Regiment) is killed in action at age 29. Lieutenant Colonel Reginald Kirkpatrick Lynch-Staunton (Royal Field Artillery) dies of wounds in Baghdad received 26th October at age 38. He is the son of George S J P Lynch-Staunton JP. Lieutenant Colonel George Arthur Tryon MC (commanding 4th King’s Royal Rifle Corps) is killed in action at age 32. He is the son of the Reverend Arthur William Tryon Vicar of Middle Rasen and the grandson of Major General Tryon and the Reverend Thomas Wimberley Mossman Rector of West Torrington. Major Arthur Hugh Aglionby MC (Royal Garrison Artillery) dies of wounds received at Monvaux at age 33. He is the son of the Reverend Canon Francis Keyes Aglionby DD, of Newbold Pacey Vicarage, Warwick. Victoria Cross winner Captain Arthur Moore Lascelles VC MC (Durham Light Infantry) is killed in action at age 38. He was awarded the Victoria Cross for his actions last December at Masnieres. Captain Claud Harry Stokes DFC (Royal Aiir Force) is killed at age 34. He is a five-victory ace and the last ace killed prior to war’s end when he is shot down by anti-aircraft fire. Captain Clive Andrews Brown (Royal Engineers) dies on service at age 28. His brother was killed last September. Captain Reginald Claude Moline Gee MC (Durham Light Infantry) is killed in action at age 22. He is the son of the Reverend Claude Valentine Gee Vicar of Castletown. Lieutenant Frederick Neville Wells (Horse Transport and Supply, Army Service Corps) dies on service at age 38. He is the son of the Reverend Harry Wells. Lieutenant Christopher William Griffiths (Royal Engineers) dies of wounds received in action 29th October at age 35. He survived the sinking of the Lusitania in 1915. Second Lieutenant Benjamin Dowell Skelton (Essex Regiment) is killed at age 20. His brother was killed last month. Chaplains John Watters (attached 115th Brigade Headquarters) dies and William Gerard Cheese (attached Lincolnshire Regiment) dies of wounds on active service. Cheese dies at age 35 while Watters is only 26. Company Quarter Master Sergeant Eric William Parker Stamper (Sherwood Foresters attached Labour Corps) dies on service at age 27. His brother was killed in March of this year and they are sons of the Reverend William Parker Stamper Vicar of Stonebroom. Private James B Gowler (West Surrey Regiment) is killed in action at age 20. He had been in France only five weeks and his father dies of influenza on the same day at home. Private Frederick Edward Clarke (Eastern Counties Labour Corps) dies of pneumonia at home. He was a member of the Tring Town Band. Able Seaman John Phililp Hill (Drake Battalion, Royal Naval Division) is killed at age 20. His brother was killed in March 1917. Drummer James Cash (Dublin Fusiliers) dies at home at age 22. His brother will die on service next February. Lieutenant Wilfred Edward Salter Owen MC (London Regiment attached Manchester Regiment) the world renown war poet is caught in a German machine gun attack and killed at the Olse Canal, north of Ors, France age 25. He is on the Continent teaching until he visits a hospital for the wounded and is deeply affected by this and decides then and there, in September 1915, to return to England and enlist. Owen describes his decision to enlist in the following “I came out in order to help these boys – directly by leading them as well as an officer can; indirectly, by watching their sufferings that I may speak of them as well as a pleader can. I have done the first”. Owen is injured in March 1917 and sent home and when he is deemed fit for duty returns to the front in August of this year. His poems include The Dead Beat, Dulce Et Docorum Est, The Sentry, Anthem for the Doomed Young, Exposure, The Parable of the Young Man and the Old and Strange Meeting. 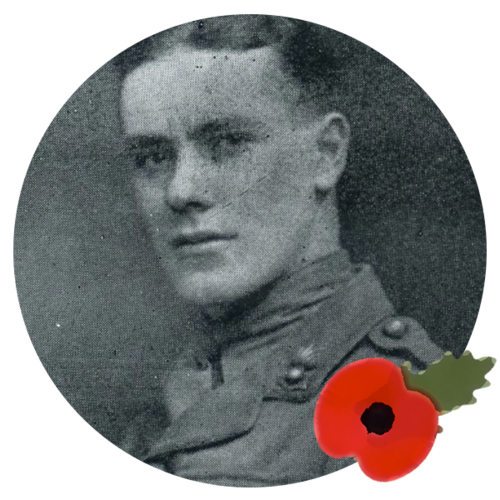 The bells will be ringing on 11 November in Shrewsbury to celebrate the Armistice when the doorbell rings at his parent’s home bringing them the telegram telling them he has been killed. Killed along side Owen this day is Lieutenant James Kirk of the same regiment who will later be awarded a posthumous Victoria Cross for his actions today while attempting to bridge the Oise Canal. To cover the bridging of the canal Lieutenant Kirk took a Lewis gun, and, under intense machine-gun fire, he paddles across the canal on a raft, and at a range of ten yards expends all his ammunition. Further ammunition is paddled across to him and he continuously maintains a covering fire for the bridging party from a most exposed position till he is killed at his gun. 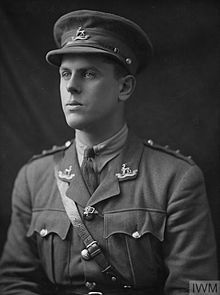 Another Victoria Cross winner Lieutenant (Acting Lieutenant Colonel) James Neville Marshall (Irish Guards commanding 16th Lancashire Fusiliers) is killed in action at age 31. He will be awarded a posthumous Victoria Cross for most conspicuous bravery, determination and leadership in the attack on the Sambre-Oise Canal, near Catillon. When a partly constructed bridge comes under concentrated fire and is broken before the advanced troops of his battalion can cross Lieutenant Colonel Marshall goes forward and organizes parties to repair the bridge. The first party are soon killed or wounded, but by personal example he inspires his command, and volunteers are instantly forthcoming. Under intense fire and with complete disregard of his own safety, he stands on the bank encouraging his men and assisting in the work, and when the bridge is repaired he attempts to rush across at the head of his battalion and is killed while so doing. Captain Allen Hepburn and his observer Alexander Tranter (Royal Air Force) score their last two victories of the Great War when they destroy two Pfalz DIII in the Mainvault-Faucaumont area. The Battle of Vittoria-Veneto ends with the Armistice on the Italian Front. During the battle, the 14th British Corps has captured over 28,000 prisoners and two hundred nineteen guns. Captain Thomas Charles Richmond Baker DFC MM (Australian Flying Corps) is killed in action at age 21. He is a twelve-victory ace. Captain the Reverend George William Jones (Royal Air Force) is accidentally killed at age 39. Lieutenant Henry Michael de Bathe (Royal Air Force) is accidentally killed at Sleaford at age 29. He is the grandson of the late General ‘Sir’ Henry de Bathe Baronet KCB. Second Lieutenant John Douglas Lightbody (Royal Air Force) a five-victory ace is killed in action at age 19. Cadet Geoffrey William Auden (Royal Air Force) dies at home at age 18 of pneumonia. He is the son of the Reverend Alfred Auden, Church Broughton Vicarage. Captain Adam Francis Burdett (South African Service Corps) dies on service in South Africa at age 36. He took part in the 1906-7 South Africa rugby union tour, the original ‘Springbok’ tour. He was awarded two caps for South Africa. 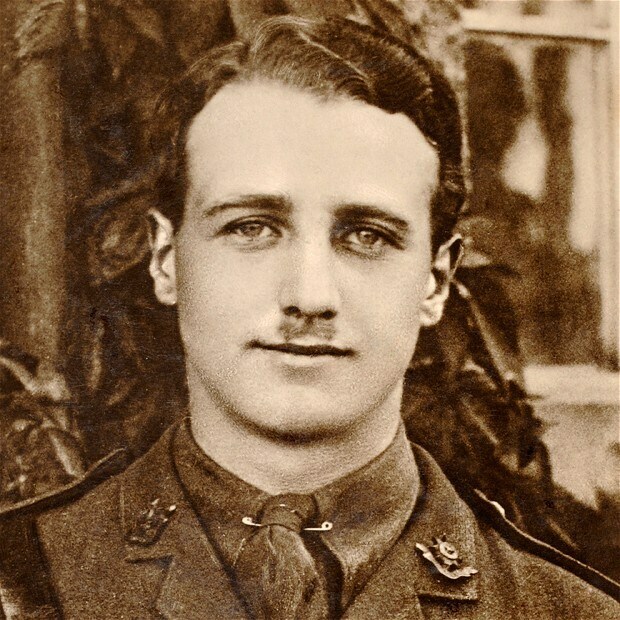 Captain Burleigh Leycester Muir (Army Service Corps attached III Corps Headquarters) is killed in action. He is the son of Sir Richard and Lady Muir. Private John William Moulds (Army Service Corps) dies of illness at Woolwich. His brother was killed in July 1916. Private Stephen Owbridge Parish (Army Service Corps) dies on service in Egypt at age 36. His son will be killed 16 September 1942 at Khartoum Airfield in the Sudan attempting to save the life of a passenger on a crashed aircraft and will be posthumously awarded the George Cross for his efforts. Lieutenant Colonel Edward Frank Harrison CMG DSO (Royal Engineers, Control of Chemical Warfare) dies at home at age 49. His son was killed in July 1916. Major Cyril D’Albini Sykes-Banks MC (Royal Garrison Artillery) dies of illness at home at age 29. His father died of illness on service in February 1916 and his brother was killed in April 1917. Captain Robert Colvill-Jones MC (Rifle Brigade) is killed at age 22. His brother died of wounds as a prisoner of war in May. Captain Francis Jones-Bateman (Royal Welsh Fusiliers) is killed in action two and half years after his older brother has been killed in France. He dies at age 22. Captain Rupert Ayrton Hawdon (Royal Garrison Artillery) is killed in action at age 24. He is the middle of three brothers to die in the war the first in 1916 the second later this month. Lieutenant Robert Evelyn Sandford Poole (King’s Royal Rifle Corps) is killed at age 22. His brother died of pneumonia in January 1917. 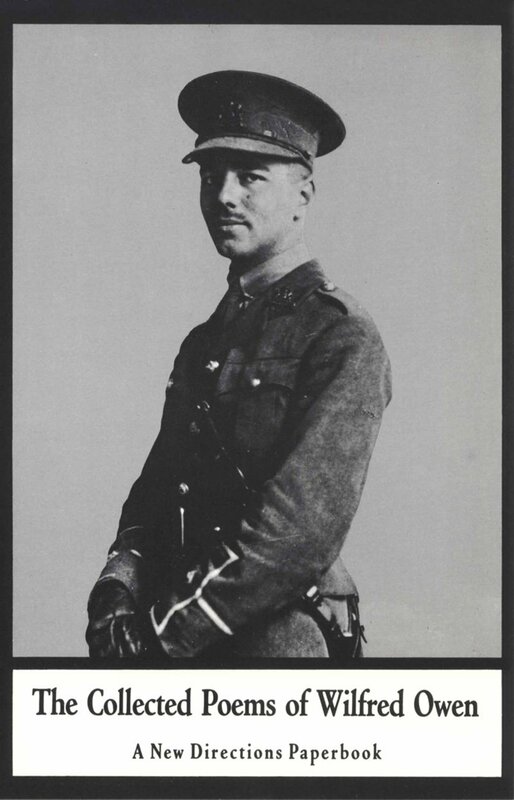 Second Lieutenant George Augustus Hughes MC (Duke of Wellington’s Regiment) is killed at age 30. He is the son of the Reverend William Hughes of Hawnby Rectory, York who has already lost a son in the war and will lose another later this month. Second Lieutenant John McNair Lamb (Royal Field Artillery) is killed at age 19. He is the son of the Reverend John Lamb. Second Lieutenant Robert Stewart White (Royal Field Artillery dies of wounds at age 20 at home. He is the son of the Right Reverend William Charles White Bishop of Honan China. Private Martin Leslie Johnson (Essex Regiment) is killed in action at age 19. His brother was killed in October 1917. Private Albert Charles Wilson (Labour Corps) dies on service at age 29. His brother was killed on the first day of the Battle of the Somme. Private Robert Heaford Dempster (Sherwood Foresters) is killed in action at age 19. His brother was killed in April 1917. Private Robert Moody (King’s Own Yorkshire Light Infantry) is killed at age 23. His brother was killed in March of this year. Private Frederick Ernest Barker (Royal Sussex Regiment). He was a well-known cricketer. Munitions Worker at the Aeroplane Works Richard Sutton Staines dies at home. His brother died of wounds in October of last year. Private Percy W Billings (Queens Own Royal West Kent Regiment) is killed. His brother was killed in July 1917. Private Birkett Stuart (Border Regiment) is killed at age 20. He is the final of three brothers who lost their lives in the Great War. Private James Sallis (Machine Gun Corps) is killed at age 32. His brother was killed last month. Private Arthur Edmund Potts (Sherwood Foresters) dies on service at home at age 18. His brother was killed two months ago. Private Percy Albert Russell (South Lancashire Regiment) is killed at age 34. His brother was killed in May of this year. Private Richard Leadbeater (South Wales Borderers) is killed. His brother was killed in October 1916. Gunner Alexander Francis Lyall Houison (Canadian Field Artillery) is killed at age 24. His brother was killed in September 1917. Private Lewis George Ellis (Sherwood Foresters) is killed in action. His son will be killed in the Second World War in April 1944. Private Samuel Needham VC (Bedfordshire Regiment) is accidentally killed by a gunshot at age 33 in Egypt. He was awarded the Victoria Cross for his actions last September at Kefr Kasim, Palestine. Lieutenant Colonel Greville Havergal Shaw (Canadian Engineers) is killed at age 28. His brother was killed in April 1917 and they are sons of the Reverend William Henry Shaw Rector of Stapleton. Captain Walter Adam (Royal East Kent Yeomanry attached Machine Gun Corps) dies at home. His brother was killed in January 1916. 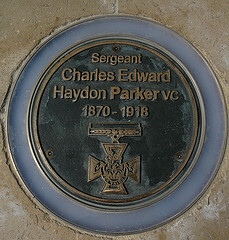 Captain Tom G M Parker (Royal Army Medical Corps) dies on service at home. His brother was killed in November 1916. Lieutenant George Raymond Dallas Moor VC MC (Hampshire Regiment) dies of Spanish Influenza at Mouvaux, France at age 22. He was awarded the Victoria Cross on Gallipoli in 1915. Lieutenant John McClelland Adie (Canadian Motor Machine Gun Brigade) dies of wounds at age 35. He is the last of three brothers who are killed in the Great War. Nurse Margaret Carew (Voluntary Aid Detachment) dies on service at age 28. Her brother was killed in October 1914 and they are children of the Reverend Henry William Carew Vicar of Rattery. Nurse Gwynedd Violet Llewellyn (Voluntary Aid Detachment) dies on service of influenza at age 19. She is the daughter of Lieutenant Colonel A OBE and Lady Llewellyn. Ordinary Seaman Walter Daniel Fairbrass (Royal Navy, HMS Pembroke) dies at home at age 18. He is the third brother to die in the Great War of six who served. Private George Francis Stoney (British Columbia Regiment) is killed in action at age 46. He was a member of the Editorial Staff of “The Oregonian”, of Portland, Oregon. Driver Thomas Ernest Scotcher (Royal Engineers) dies in a military hospital at age 22. His brother was killed in September 1914. Private David Beaumont Kester (Northamptonshire Regiment) dies on service at home at age 28. His twin brother was killed in September 1917 and his son will be killed in June 1943 at age 26. Private Leon Guy Austen (Royal Army Medical Corps) dies at home at age 38. His brother died on service in India in August 1916. Private Frederick Ernest Barker (Sussex Regiment) is killed at age 29. Unknown to him his wife died yesterday of pneumonia and his 11-week old son, his namesake, will die tomorrow. Private Frederick William Beatham (Army Service Corps) dies on service at age 32. He is the middle of three brothers who will lose their lives this year including Robert Matthew Beatham a Victoria Cross winner who was killed last August. Private William Edward Hermon (Sussex Regiment) dies of wounds at age 19. His brother was killed last August. Sapper John Latimer Owen (Canadian Railway Troops) is killed at age 35. He is the son of the Reverend John Robert Blayney Owen Rector of Bradwell on Sea. Driver William Smith (Royal Engineers) is killed at age 29. His brother was killed in September 1916. Private George H Rolfe (Australian Army Medical Corps) dies on service at sea at age 31. His brother died of wounds in July 1916. Gunner Edward Steer (South African Field Artillery) dies on service at age 19. His brother was killed in December 1917. Before Valenciennes a platoon of the Saskatchewan Regiment has a machine-gun open up on it. Without hesitation Sergeant Hugh Cairns DCM seizes a Lewis gun and single-handed in the face of direct fire he rushes the post killing the crew of five and capturing the gun. Later when the line is held up by machine gun fire he again rushes forward killing 12 enemy and capturing 18 and two guns. Subsequently when the advance is held up by more machine guns and field guns, although wounded, he leads a small party to outflank them, killing many, forcing about 50 to surrender and capturing all the guns. After consolidation he accompanies a battle patrol to exploit Marly and forces 60 of the enemy to surrender. While disarming this party he is severely wounded. Nevertheless, he opens fire and inflicts heavy losses. Finally he is rushed by about ten enemy and collapses from weakness and loss of blood. He will be awarded the last Canadian Victoria Cross earned in the war and will die of his wounds tomorrow. Captain Alexander Beck (60 Royal Air Force) scores his squadrons last victory of the war, shooting down a Fokker D.VII. The submarine G7 (Lieutenant Charles Arthur Campbell Russell) is reported lost when she fails to arrive at her base at Blyth, Northumberland. The last communication with the boat was on 23rd October. Her entire crew of 31 is lost. Captain Charles Henry Vernon Smith (Canadian Army Medical Corps) dies of pneumonia at age 32. He is the son of the Reverend William Smith. Captain Alleyne Kingsley Conan Doyle (Hampshire Regiment) dies of influenza at home aggravated by wounds received in action at age 24. He is the son of the Arthur Conan Doyle. Lieutenant Arthur Rowland Skemp (Gloucestershire Regiment) is killed in action at age 36 at Le Cateau. He is a professor of English at the University of Bristol and the son of the Reverend T R Skemp. Lieutenant William Holmes St John Lyons (Middlesex Regiment) dies in England at age 29. He is the son of the late Right Honorable W H H Lyons. Chaplain 4th Class the Reverend Harold William Wood (attached Royal Garrison Artillery) dies of pneumonia as a result of influenza at age 31. He is the Vicar of Norton and son of the Reverend Arthur Wood Rector of St John’s Clerkenwell. Chaplain Basil Robert Streeten (Lancashire Fusiliers) dies on service. Driver Samuel Hainsworth (Royal Field Artillery) dies of wounds at age 28. His brother was killed in April. Driver Albert Woodey (Royal Field Artillery) is killed in action at age 18. His brother was killed in the Navy in July 1918. Private Arthur Moulson (Machine Gun Corps) dies of wounds as a prisoner of war at age 28. He was taken prisoner on 27th May at Crayonne, on the Chemin des Dames. His brother was killed in action in November 1917. Private Albert O’Connell (Australian Infantry) dies of wounds in Wales received on service two months earlier. He is a former Australian rules footballer who played with St Kilda. Private Leonard John Redler (Worcestershire Regiment) is killed at age 19. His brother was killed in July 1916. Private Edwin Burchett (Wiltshire Regiment) is killed at age 40. He is the last of three brothers who are killed in the war. Private Peter Downs (South Wales Borderers) is killed at age 19. His brother was killed in September 1916.